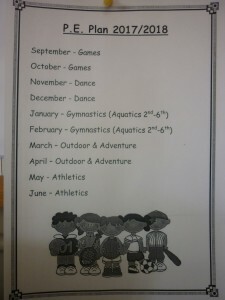 All students are provided with one hour timetables PE per week, as a minimum. 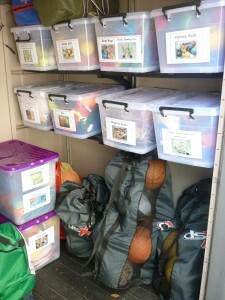 All teachers use the PSSI lesson plans to guide their delivery of the Primary P.E. 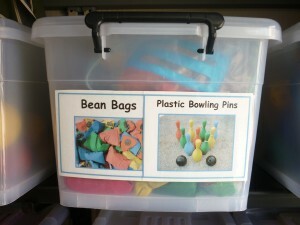 Curriculum. 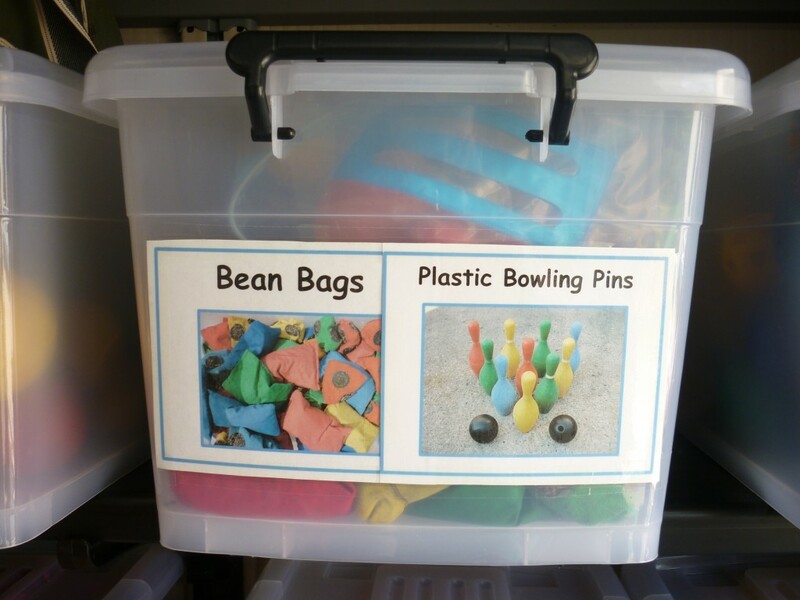 Our school ensures that children with special needs can play a full role in all PE opportunities – all equipment are labelled with both words and pictures. 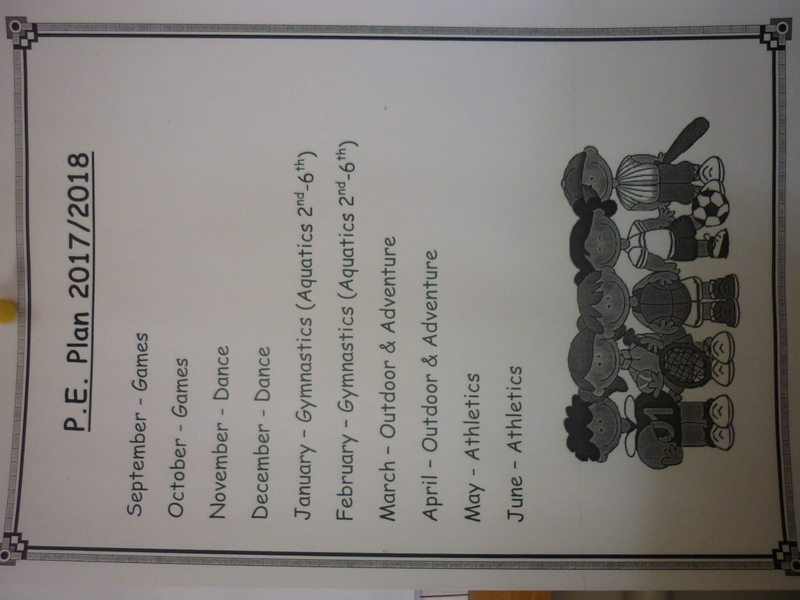 Every child’s progress in PE is discussed with parents and parent/teacher meeting. 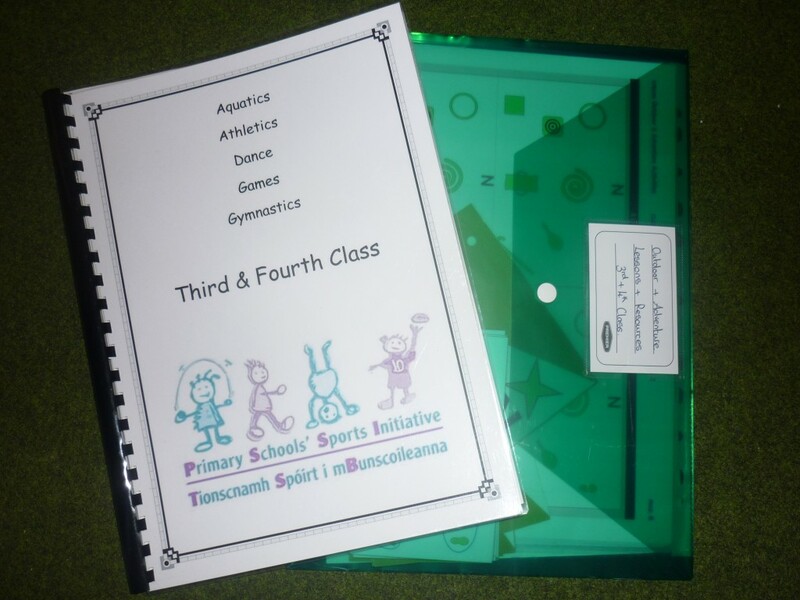 Feedback about progress in Physical Education is included in annual school reports. Our school undertakes a PE equipment audit once a year, disposing of old and broken equipment. 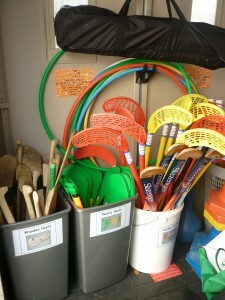 Our school has adequate, age appropriate equipment to teach all of the PE strands. 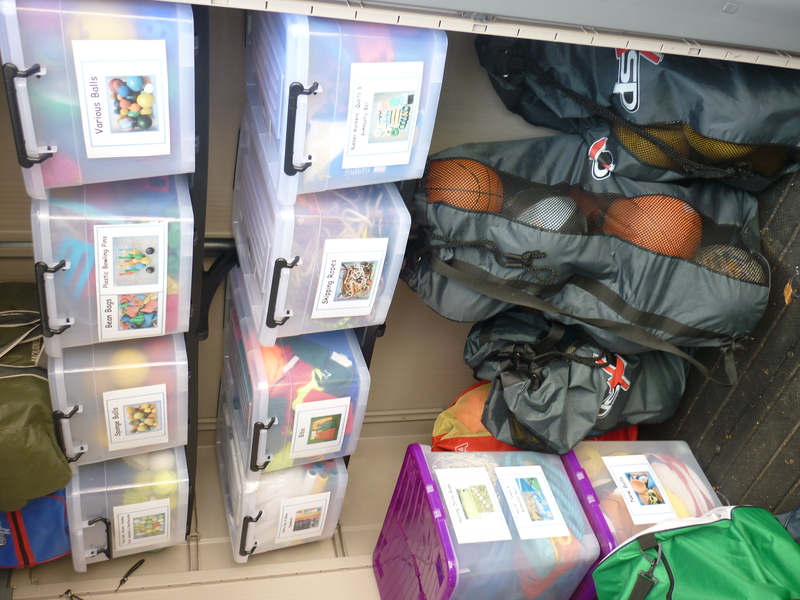 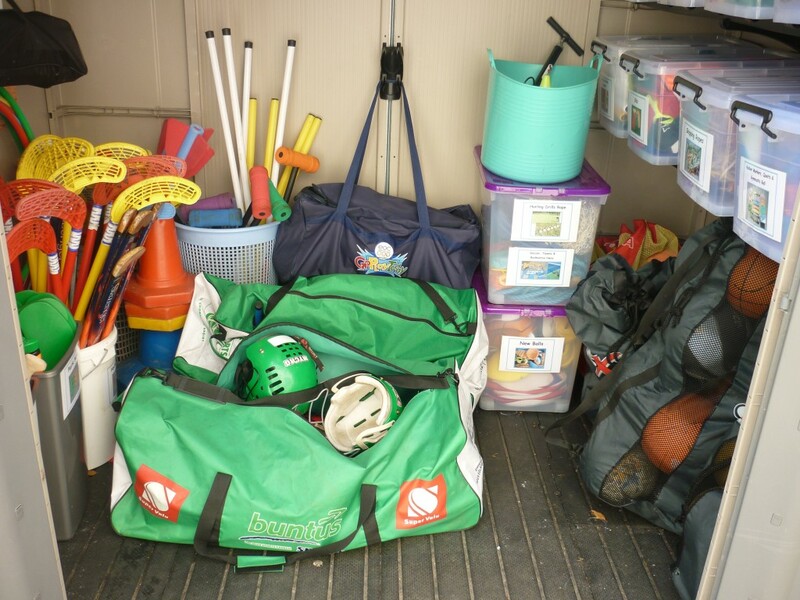 Our PE equipment and resources are clearly labelled, well organised and easily accessible. 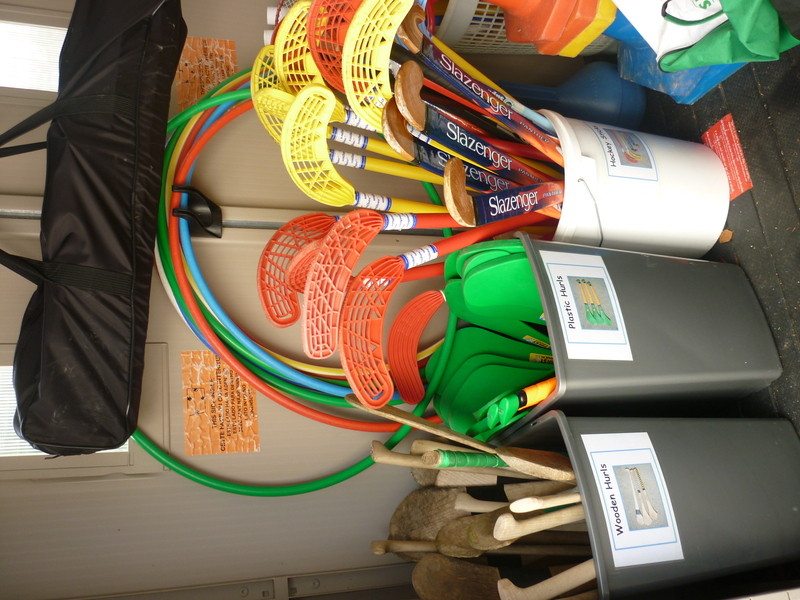 Our school makes maximum use of the PE equipment available to us.